Sarinda here with the Fotobella Design Team. 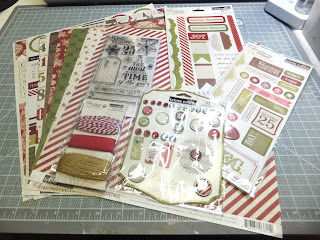 Teresa Collins Christmas Cottage Bundle #1. You can click the link above to purchase the bundle. 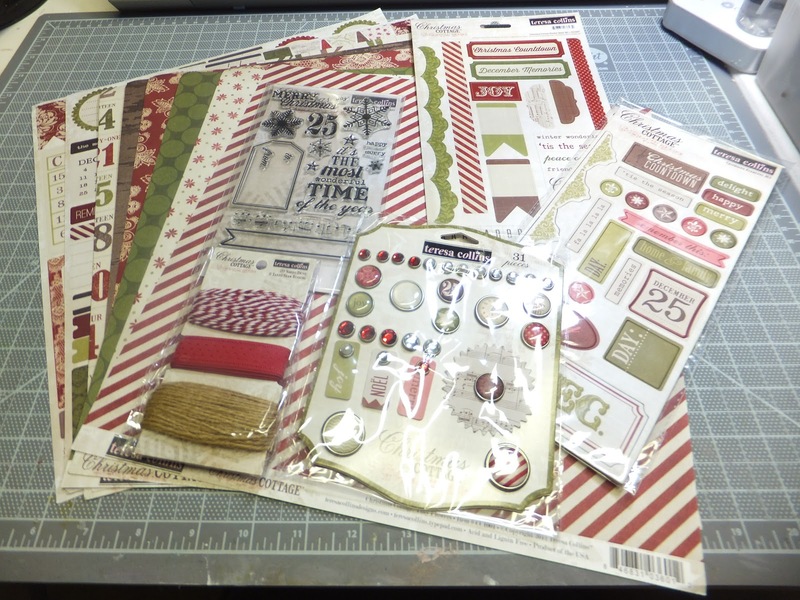 I have to say that there is a ton of wonderful embellishments and goodies in this bundle. 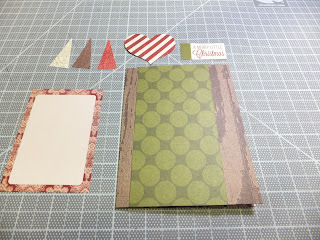 What you get is several sheets of double-sided card stock, Decorative Brads, STAMPS, Chipboard Elements, Ribbon and two kinds of twine, 12"x12" Accessories Sheet, Christmas Cottage Stickers. I Want it ALL! Christmas Cottage 12x12 Bundle by Teresa Collins. I know it is hard to believe that the Holidays are right around the corner. I need to get a move on with my creative inspirations. 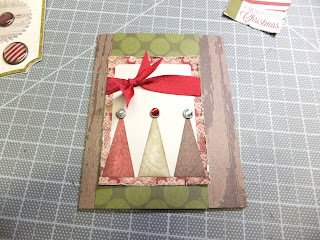 And I am sure you could use a jump start on your own inspirations to do the Holiday shuffle. 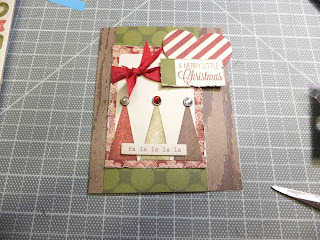 Below is the Tutorial for the "A Merry Little Christmas Card". Wishing you all a very creative week. 3. Cut a strip of Doily Tree Side B 5.5” x 3”4. Locate the Die Cut Accessory sheet. Punch out the Journaling tag, three banners and A Merry Little Christmas. 5. 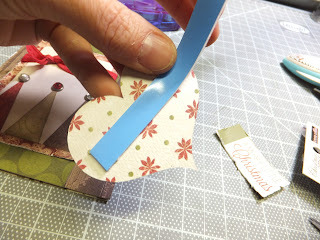 Cut out a heart shape on Silhouette approximately 2.5” at widest part. 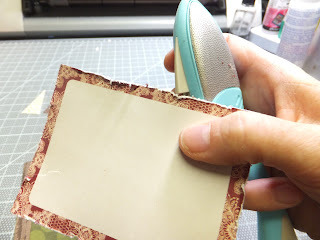 Using the Tiny Flowers Side B. 6. 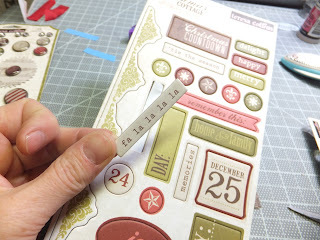 Distress the edges of the Journaling tag and A Merry Little Christmas. 7. 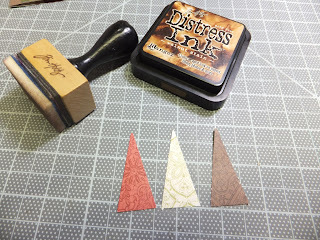 Use the distressing Ink in Walnut and the blending tool around the edges of the banners. 8. Find distress journaling tag and add red ribbon about 1” from top. 9. Assemble the elements as shown above. Add the brads to the Banner trees. 10. 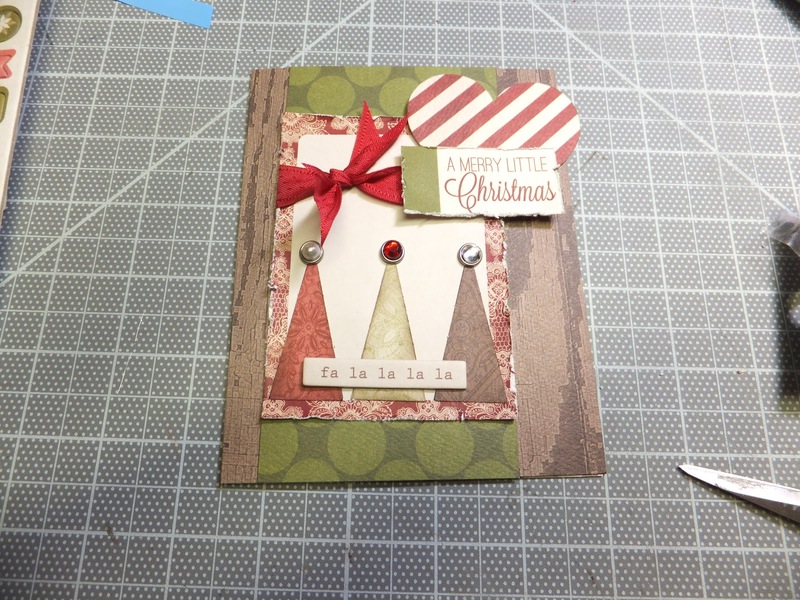 Add dimensional tape to the back of the heart and the A Merry Little Christmas. 11. 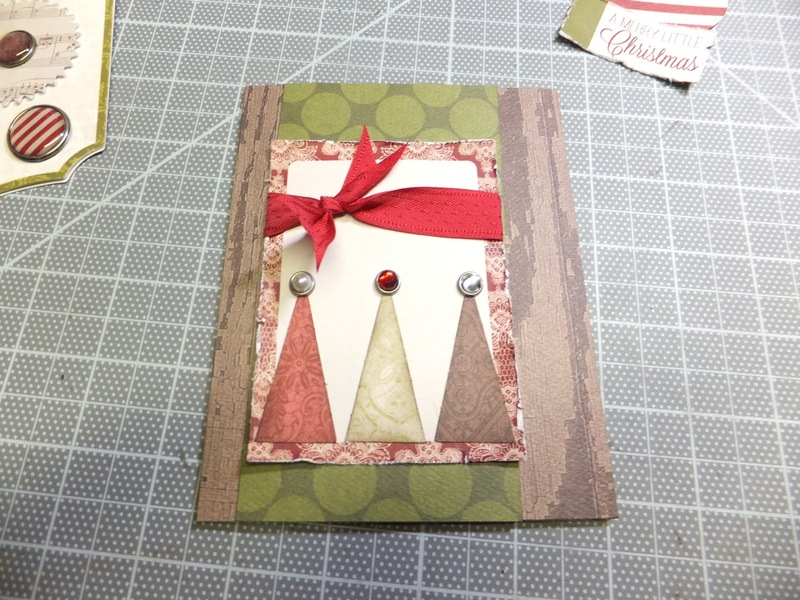 Add to the card base as above… No worries if it is a bit different than mine. 12. 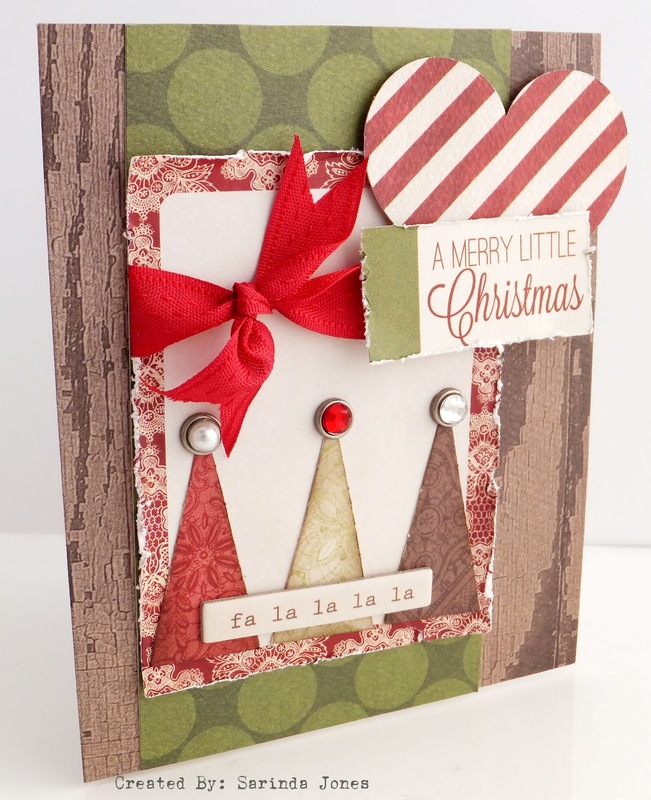 Find the Chipboard elements page and locate Fa La La La La add to the card just on top of the trees. 13. Congratulations-!!! 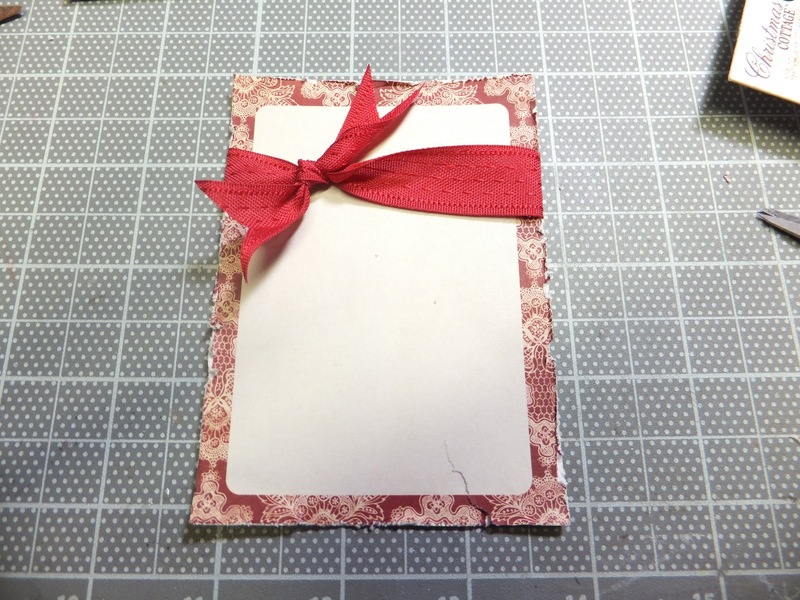 You just finished a cute card. Love Teresa Collins? Make sure to because a member of the monthly club - FotoBella Teresa Collins I Want It All! Share a wish list to win a eCraft!